Enjoy the view without compromising your privacy. SUNSCREEN is a technologically advanced window covering to suit both commercial and domestic decor. SUNSCREEN creates a pleasant, softly filtered light. Stylish and functional as roller blinds, Roman Blinds, or Panel Blinds, SUNCREEN allows you to enjoy the view, whilst providing daytime privacy, heat control and glare reduction. SUNSCREEN offers extensive colour ranges to harmonise with all decor and architectural designs. 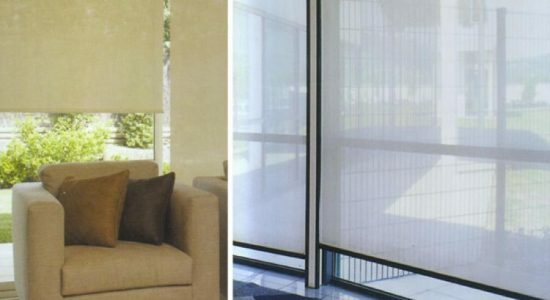 SUNSCREEN roller blinds are suitable for manual chain control operation or motorized with switch or remote control. 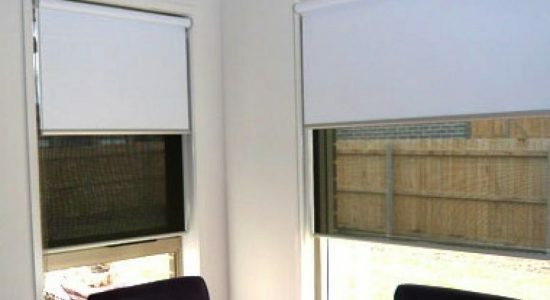 For total privacy both day and night, double blinds allow you to alternate between a total blockout blind and the benefits of a SUNSCREEN roller blind. A tensioning device is installed with all chain controls to ensure your child’s safety. Clean dirty marks with a sponge soaked in luke warm water and mild detergent solution.